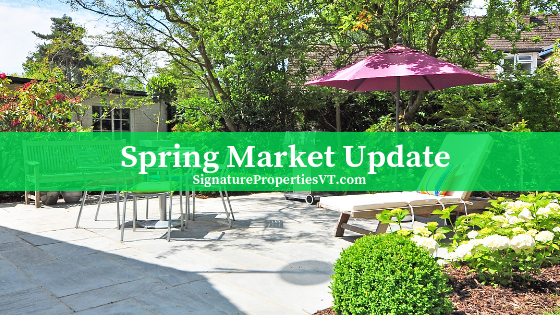 It's not just the weather that's warming up, our local real estate market is coming into spring hot! The number of closed homes in Quarter 1 2019 is right on track with 2018, but set to rise. 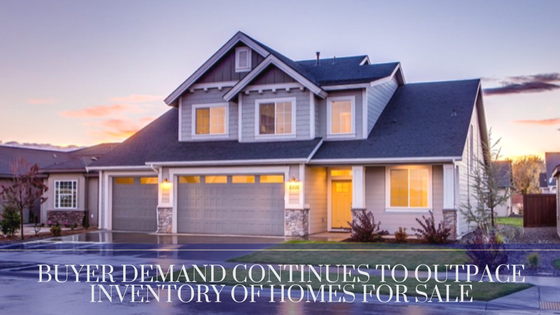 With inventory remaining relatively low, sellers are benefitting for having their home on the market for fewer days, and selling for higher prices. This is a challenge for buyers trying to break into the market. We would suggest consulting a loan officer, obtaining a pre-approval and then developing a relationship with a tenacious Realtor who is prepared to write your winning offer. While the low inventory is a challenge for buyers, mortgage interest rates are remaining low at an average of 4.125% for a conventional 30 year fixed rate. While these rates are still low, it's a great time to buy or to re-finance your existing home! It is possible that interest rates may begin to creep up later in the year, and while only time will tell, it's still advised to act quickly. Signature Properties of Vermont remains among the Top 10 most productive brokerages in Northwestern Vermont! Our small team is experienced, capable and ready to help you with your home sale or purchase this spring. It's hard to believe another year has come and gone so soon. 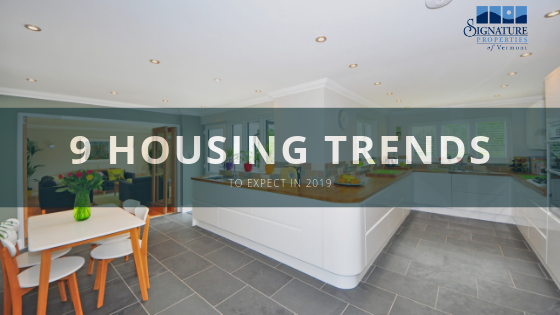 As we're preparing to welcome 2019 there are some national real estate trends you should be aware of. The challenge of low inventory is likely to continue, however we're starting to see an uptick in builders constructing more entry-level homes which will be a great asset to first time buyers. Real estate has been a seller’s market for more than six years, meaning that there are more would-be buyers than homes for sale, sliding the balance of negotiating power in sellers’ direction. It's looking like that will remain the case through 2019 as well. Now, while a seller's market isn't ideal for buyers, there is hope on the forecast as we expect to see more homes hit the market than we have in the past several years. Freddie Mac, a government-sponsored enterprise that provides capital to the mortgage market, estimates that 370,000 fewer homes were built in 2017 than were needed to satisfy demand resulting from population growth. “Until construction ramps up, housing costs will likely continue rising above income, constricting household formation and preventing homeownership for millions of potential households,” Freddie Mac concludes. This is great news for current homeowners, but may prove to be a challenge to buyers entering the market for the first time. Don't panic, though, prices are not expected to rise as dramatically as we've seen over the past several years. We've been extremely fortunate the last few years that interest rates have remained quite low, allowing many new buyers to purchase their first home relatively easily. From the beginning of 2018 to mid-December, 30-year fixed mortgage rates went up a little less than three-quarters of a percentage point, to around 4.75%. Forecasters expect mortgage rates to rise again in 2019 — but at a slower pace. As always, finding affordable housing is a concern for As home prices and mortgage rates rise in tandem, home buyers find it harder to afford homes. Nationwide, areas with lower inventory will of course see higher prices and more competitive markets. The mortgage and real estate industries are focused on serving first-time home buyers, and for good reason: “First-timers have dominated the mortgage market for the past 10 years, and their share today is still high," according to an Urban Institute report published this summer, which adds: “We don’t see this changing anytime soon." Our area is currently experiencing a seller's market - there are less homes for sale, than interested buyers. This can make it difficult for buyers to break into the housing market; difficult, but not impossible. We have some tips to help you secure a home within your budget - even during a seller's market. Population growth. Generally, when there's an increase in the number of people moving to a town, demand for housing begins to exceed supply. The basic law of Supply and Demand will tell you that too few homes will lead to an increased sales price. Job growth. An influx of new companies and jobs can in turn fuel population growth that turns areas into seller's markets. This is a great indicator of economic progress! Unfortunately, it can also present challenges to buyers seeking to relocate to the area. Housing starts. The term "housing starts" refers to the number of new homes on which builders have started construction in any particular month. Because new construction directly affects supply, a decrease in housing starts can result in a sellers market. Average days on market (DOM). This measurement will tell us the average number of days a home stays on the market before changing hands. In our area, this number has been steadily dropping since January 2017 and as of April 11, 2018, it sits right around 100 days from the day a home goes on the market, to the day the new owners receive the keys. Considering the time it takes to process a contract is about 60-80 days, this number is quite low! Asking vs. final home price. In seller's markets, bidding wars can often erupt among buyers, which means sellers may enjoy a final sales price that's equal to their asking price, or more. So, if a home is listed at $450,000 and sells for $450,000, $460,000, or higher, that's a seller's market. In a strong seller's market, the final sales price is typically at least 10% higher than the asking price. To compete against other buyers in a seller's market, you need to be prepared. First off, you should meet with a mortgage lender to discuss your finances, and find out what you can afford. You'll need a pre-approval letter before you start looking at homes; when competition is fierce, sellers want to know that the offers they're receiving are backed by actual buying power. Once you have a pre-approval, you'll want to hire a Realtor. 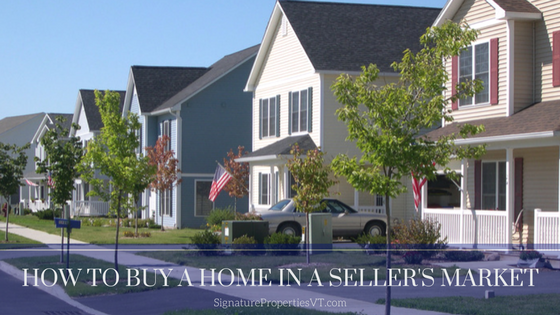 It is crucial that you are represented during your purchase, especially in a seller's market. The Realtor who has the home listed is contractually bound to represent the seller's best interests not yours. You'll want to find a Realtor that you trust to advocate for you, and get you into the areas you're interested in. Often times Realtors will have knowledge of homes that haven't even hit the market yet - take advantage of that knowledge! You'll want to discuss with your Realtor your wants, needs, and desired location. When housing supply is low, try to keep an open mind and consider exploring areas slightly outside of your target. Once you've found a home, you and your Realtor will work quickly to submit an offer. Consider adding an Escalation Clause to your contract, which basically states "if sellers receive an offer higher than this one, I am willing to increase my offer to X." 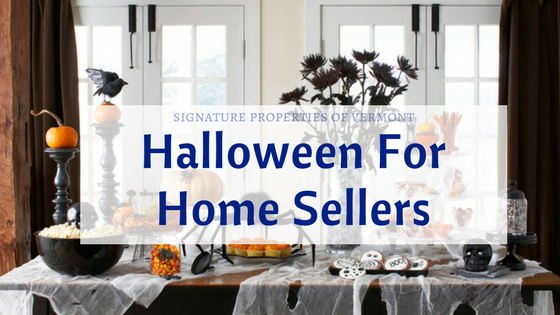 You may also want to add a personal letter to the sellers with your contract, sometimes small details like that can really set your offer apart. Buyer Demand Far Outpaces Inventory...NOW Is The Time To Sell! Inventory in our area is still very competitive for home sellers, and buyers are entering the market to take advantage of low interest rates. It is truly a great time to enter the real estate market no matter which end of the spectrum you're on! The price of any item is determined by the supply of that item, as well as the market demand. The National Association of Realtors (NAR) surveys “over 50,000 real estate practitioners about their expectations for home sales, prices and market conditions” for their Realtors Confidence Index. The darker the blue, the more buyers are looking for homes in that area. Only 3 states came in with a weak demand level. 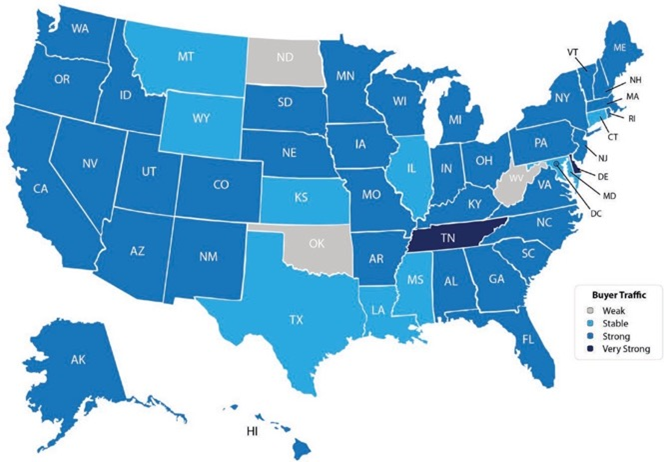 As you can see from the map on the left, a good portion of the country has weak seller traffic, meaning there are far fewer homes on the market than what is needed to satisfy the buyers who are out looking for their dream homes. Looking at the maps above, it is not hard to see why prices are appreciating in many areas of the country. Until the supply of homes for sale starts to meet the buyer demand, prices will continue to increase. This is great news for homeowners thinking of selling their home. Buyers should not be discouraged; low interest rates allow for affordable options even when inventory is low. 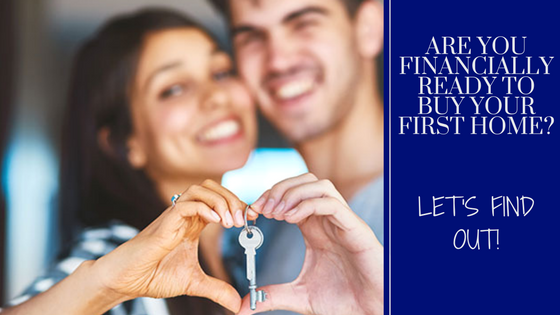 Are you financially ready to buy your first home? Let's find out! If you're wondering whether you're ready to stop renting and purchase your first home, we are here to help! With current interest rates still being low, and the cost of rent in our area increasing year over year, now might be the ideal time for you to take the plunge into homeownership. 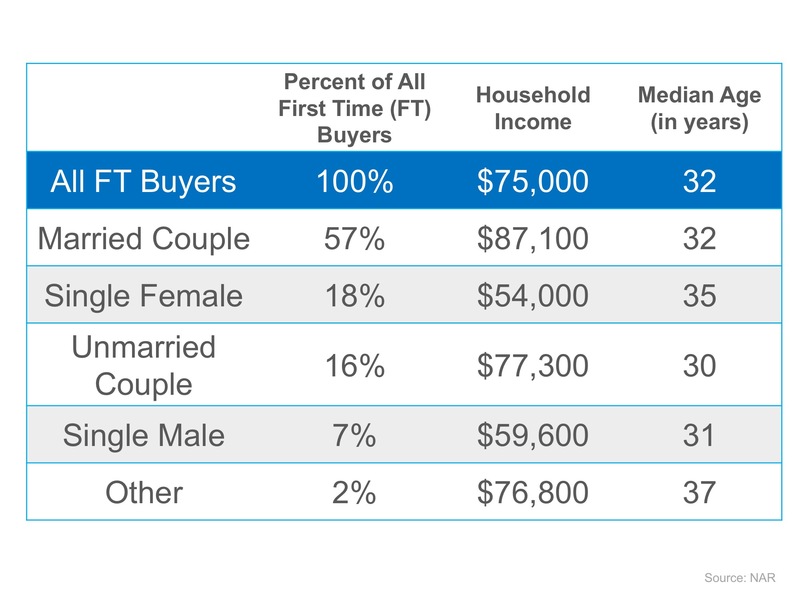 Some might wonder if it makes sense to purchase a house before they are married and have a family, others might think they are too young, and still, others might think their current income would never enable them to qualify for a mortgage. Not to worry, we are here to help you navigate those questions, and any others that may arise. You very well may be ready to purchase your first home, and start building equity! Every situation is unique, and we are always available to answer questions for you. When our clients ask for our assistance selling their home, their two main concerns are timeline and price. We've been in the Real Estate industry a long time, and have amassed countless tips and strategies to address both of those concerns. We decided to put together an online magazine to make our best advice available to the whole community! Below you'll find a link to check out our magazine and learn some of our best home selling strategies. When the time comes to list your home, we'll be here to walk you through the process and make it not only quick and painless, but fun and profitable as well! Give us a call any time, we're always happy to help. The doorbell to your home is used more on October 31st than potentially any other day of the year. It’s Halloween and there’s arguably no holiday where home plays a bigger role. Sure, other holidays have traditions, but none encourage families to get out and actually walk around their neighborhoods going door-to-door. This is a perfect opportunity to meet new neighbors and spread the word that your home is on the market! Leave a lasting impression with tasteful lights, decorations, and of course, candy for the kids. It’s a night where we literally open our doors to others and make preparations to give regardless of who steps to our front door - something we should probably do more often. We hope this year you'll be dazzled by the decorations and charmed by the children’s (and the dog’s) costumes, and we hope it brings a little joy to your heart as you think of all that home means…even on the scariest night of the year. Here’s to Halloween and all the things that make a house a home. Your tap water is probably not as clean as you think. We all know that water is essential for survival and maintaining health, but if you're drinking straight out of the tap, there are some things you should be aware of. When you drink tap water, especially municipal water, there are loads of additives, including beneficial minerals (like magnesium), and harmful contaminants like lead, mercury, pesticides and trace amounts of prescription medications. It can be a witches' cauldron of potentially harmful unknowns. One common misconception is that boiling tap water will remove all trace substances; it will kill off any living organisms, but it won't actually remove any contaminants in the process. However, there are some options to mitigate your exposure. You may be wondering how the water from your tap could possibly be so dirty. Well, simply put, it has most likely traveled several miles, through pipes which can pass along lead, chlorine, ammonia etc. before finally arriving to your home. The problem is, we may not know exactly which contaminants are present in our water. 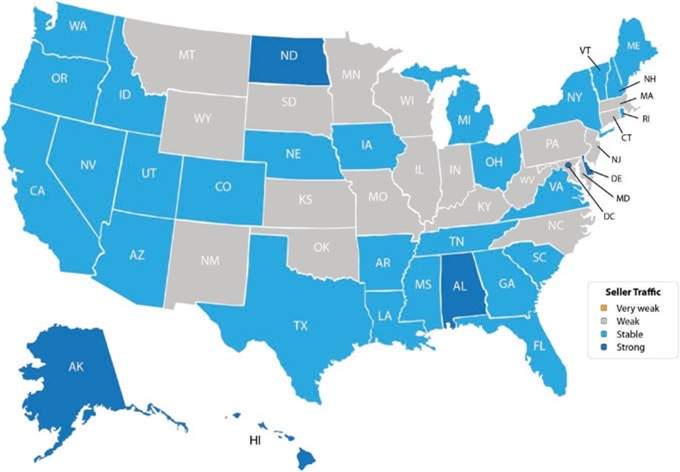 The Environmental Working Group investigated the nation's drinking water supply over the course of 3 years and found that 85% of the population's water contained more than 300 contaminants, more than half of which are not regulated by the EPA. Now, you may be thinking bottled water is the holy grail at this point. Unfortunately, that is not necessarily the case. In fact, bottled water is also not regulated by the EPA and there are no studies proving that it's any safer than the water from your tap! Not to mention the resources that are used to produce and transport the water, and the contaminants leached from the plastic bottle itself into the water. Adding fluoride to drinking water is a process that began back in the 1940’s to help reduce tooth decay. It sounds like a noble cause but fluoride is a neurotoxin and an endocrine disruptor. It can harm the thyroid gland and calcify the pineal gland. Fluoride is toxic, and several countries have banned the practice of adding it to water. Chlorine is known to be a sanitizing agent, and has been added to drinking water as a purification technique, despite not being completely safe. Chlorine bonds with water, including the water in your gut, to produce poisonous hydrochloric acid. Long term effects include memory loss and impaired balance. Corroded pipes can release up to ten times the allowable amount of lead into the water. Lead is extremely toxic, especially to children and can cause developmental issues, stunted growth and even brain damage. Mercury is a naturally occurring element, which does not mean that it's safe. It can find its way into our water supply as a byproduct of mining practices. Unfortunately, it is an extremely efficient traveler and transfers easily from wind to water. Mercury exposure can cause brain damage, blindness, nerve damage, muscle loss and a host of other conditions. If you're drinking public water, you are ingesting trace amounts of hormones, antibiotics and other prescription medications. When wastewater is treated, most contaminants are cleared, but the process cannot remove all excreted substances. Although levels are low, the risk of ingesting trace prescriptions over the course of a lifetime are unknown. Now that we've gone over the gloom and doom, there is a light at the end of the tunnel. 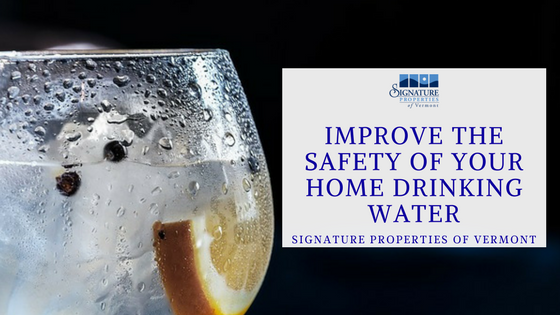 If you don't already have a home water filtration system, you may want to look into one. There are several options depending on your budget and your level of concern. You can go as far as to install a whole-house filtration system, or you can go the more minimally invasive route and invest in an individual drinking water and shower filter unit. - You can choose an undercounter unit that will be tucked away and do a great job at filtering out contaminants. There is some installation required, and the initial cost may be slightly off putting, but there are other options. - You could opt for a countertop filter which uses water pressure to force the filtration process and results in healthier, better tasting water. These require minimal installation, little space and are cost effective. - Lastly, you could opt for a water pitcher filter which is great if you're low on counter space, and working within a budget. These fit easily in your refrigerator and are very simple to use. Your skin is incredibly absorbent, which means any of those nasty water chemicals can enter your bloodstream. Now, you could install a shower water filter which will help mitigate exposure. These are cost effective and simple to put into place. If that isn't an option, try to reduce the time spent in the shower and reduce the temperature of the water so that pores don't absorb as much. We hope this information is useful to you! Investing in a water filtration system of some sort is a good idea whether you live in an area with town water, or if you use well water. If you've ever visited our office, you'll know right away that we love essential oils! 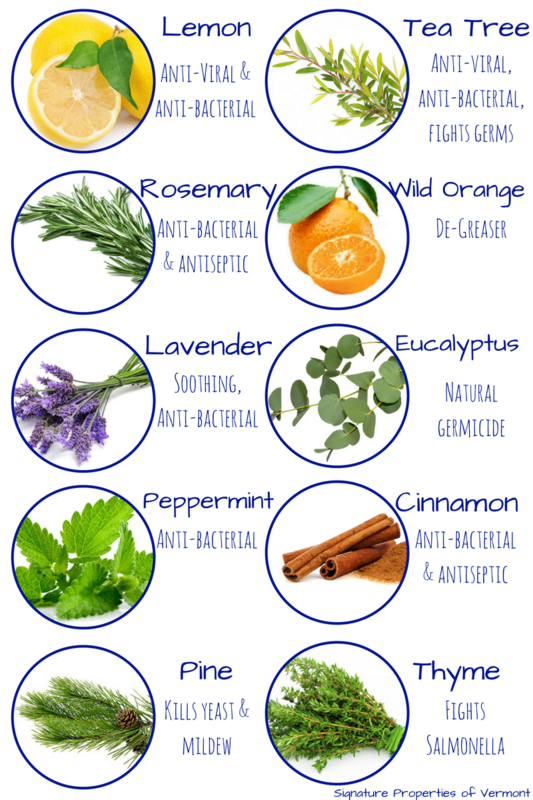 Not only are they a healthy way to give your home a nice scent, but they are also extremely effective sanitizing agents as well! There are tons of cleaning products on the market today. Most of which have an ingredient list that can't be pronounced. If you're concerned about keeping your home both clean and safe, we'd highly suggest throwing some essential oils in the mix! They may seem like a bit of an investment at first, but a little bit goes a LONG way. You'll likely even save money over time. 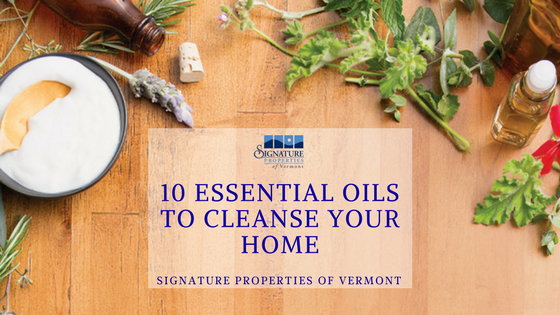 The 10 must have essential oils for your home are below. Enjoy! Not only does lemon smell clean, it's also a powerhouse filled with anti-viral and anti-bacterial properties. You can use it to de-grease, sanitize your kitchen, clean flooring, deodorize and even combine with olive oil (10 drops lemon oil with 1/2 cup olive oil) to create a wood/leather polish! Tea tree is another great oil to keep on hand. It fights germs, bacteria, viruses and bugs. Add a few drops of tea tree oil to a spray bottle with water and put an end to pesky insects. Bonus - this combination also makes a great daily shower spray! With antibacterial and antiseptic properties, rosemary is a wonderful addition to any dish soap or laundry detergent. Combine a few drops with peppermint oil in a diffuser for a refreshing blend to keep you focused. It's no surprise that many common household cleaners are lemon or orange scented. Let's get back to the basics and use the oil itself to keep our homes clean (and free of toxic chemicals!). Orange oil is an excellent de-greaser - mix 10 drops with 1/4 cup castile soap and you've got yourself a powerful stovetop and counter cleaner. The scent is unbeatable, too! One of the most popular oils, lavender is naturally antibacterial and incredibly soothing. To make a beautiful linen spray, combine 5 TB vodka with 20 drops lavender oil and 2 cups of water in a shaker bottle. Sweet dreams! Add a few drops of eucalyptus oil to your next load of laundry - your clothes will smell wonderful and your washer will stay nice and clean as well! A powerful natural germicide, eucalyptus is a great oil to use in the kitchen, bathroom, and anywhere mildew or mold might be found. Peppermint is an excellent oil to rid your home of spiders, ants and other pesky insects! Mix 10-15 drops of peppermint oil with 1 cup of water in a spray bottle. Spray the mix along crevices and anywhere pests like to congregate. As a bonus, the cool, invigorating scent will leave your home smelling fresh and clean! Tips to maximize your small kitchen. Not every home is equipped with a spacious kitchen, but that doesn't mean you have to sacrifice style or function! 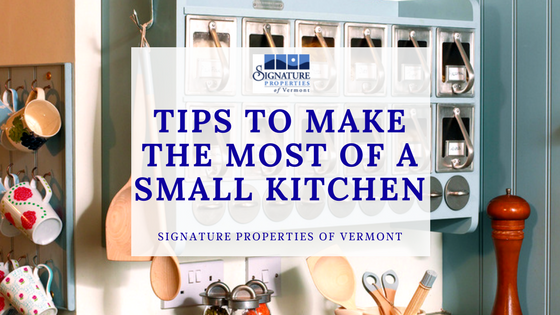 We have some great tips to help maximize any small kitchen. The ceiling is the limit. The extent to which you'll be able to expand your storage upward will depend upon the amount of cabinetry your kitchen has. That being said, nearly every kitchen can use some amount of wall space. If you have an older home with less cabinets, installing rows of shelves is an excellent way to get utensils, appliances, cutting boards cookbooks up off of the counters. If you don't have room for extra shelving, you will have to make the most of the space between the counter tops and the bottoms of the cabinets. This can be a great area to install a spice rack, or hang magnetic strips for knives. You can even set up metal rods to hang utensils from! Sometimes it just takes a little extra creativity to figure out what will work best. If you're like most of us, the area under your kitchen sink has become a black hole filled with miscellaneous cleaning supplies. If that sounds like you, it's time to invest in some under the sink storage to make the most of this space. You'll be shocked at how much room you have once you get everything up and organized! You might even find a lost "treasure" or two in the process. You know what makes a small kitchen feel even smaller? Bad lighting. Upgrading your fixtures is a relatively simple and inexpensive project that'll not only make your space feel more open, but also give you a chance to show off your style! We're especially fond of pendant lights in a small kitchen. You can find some great ones here. Last but not least, don't be afraid to add a few pops of color! Like we said earlier, having a small space doesn't mean you need to sacrifice style. You'll be pleasantly surprised at how far a well placed piece of art, a colorful dish towel or a vase of flowers will go toward adding interest.